Tignes is one of the most high-altitude European Ski-resorts and a part of a popular ski area, which together with Val d'Isere form famous Espace Killy, located in the southeast of France. Tignes took picturesque slopes of the Northern Alps and part of the Isere valley. In addition to the impressive natural surroundings, Tignes has a variety of different trails, a convenient layout for ski lifts and a large number of ski-in / ski-out hotels. The unique snowy world of the local slopes is truly amazing, so what route would you not have chosen for yourself, almost everywhere you will find interesting discoveries and a good drive charge. The ski area of Tignes unites several settlements, most of which are compactly located above the lake Lac Du Chevril. Only two settlements are located somewhat to the side - Tignes Les Boisses and Tignes Les Brevieres. The ski resort of Tignes is known not only for its second-highest altitude in Europe but also for its perhaps the most unusual history. Since the old village of Tignes, which was at an altitude of 1500 meters, was wiped off the face of the earth by the waters of Lake Lac de Chevril because of the breakthrough of the dam on the Isere River, then in 1957 a new village of Tignes was built at an altitude of 2100 meters. Since then, Tignes has become one of the most popular ski resorts in France, forming together with the resort of Val d'Isere ski area Espace Killy. The popularity of the "new" Tignes, consisting of the areas of Le Lavashe, Val Claret, and Tignes-le-Lac, is due not only to its unique location around a small lake but also to numerous sports events. Already in 1986, the resort became the place of the first world freestyle championship, and in 1992 - the Olympic freestyle competition. From year to year, Tignes takes the World Cup in winter sports disciplines. There is no direct rail service to Tignes. The closest Train station is Gare de Bourg Saint Maurice, from where the private Alps2Alps transfers are available. The final quote of your transfer will be based on a variety of factors. Here at Alps2Alps, we do everything possible to keep our fares uniquely beneficial affordable during all the season. Even if you travel to Tignes at the height of the season, we still guarantee the lowest prices for all our services. All these above factors will only result in our base-rate for ski transfers going down – we never make our prices growing at any time or for any reason. Unlike others, we consider as many factors as possible to make the transfer cost as low as possible. We always recommend booking our services in advance, in order to get the best discounts. We also offer significant shares for off-peak and midweek transfers to Tignes. If you want to save the most, you should know that traveling outside peak season or midweek will lead to the biggest savings. We offer midweek (Monday to Friday) prices with up to 60% discount than on weekends. The final cost of your transfer will also depend on such factors as vehicle availability, shuttle schedule, vehicle utilization and some others like road tolls and airport parking charges. If you have any specific requests or plan to travel in a large group, please contact us directly so we can discuss all your needs. 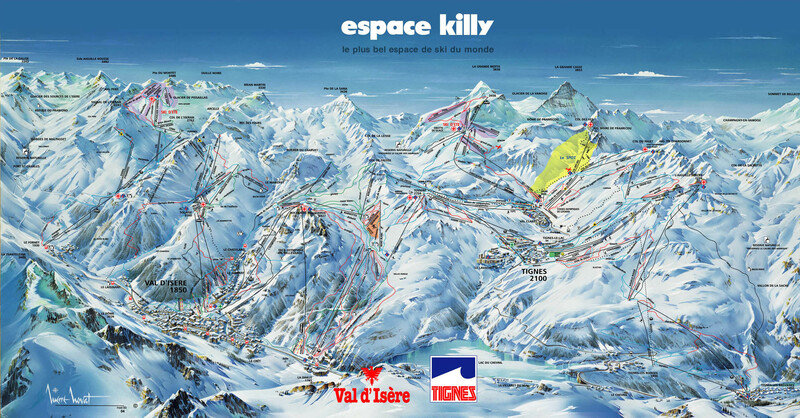 Going to Tignes, remember that the Espace Killy ski resorts are more suitable for consolidating the skills obtained earlier than for training, because even the local green routes are quite complex, especially for beginners. Besides the long ski season, a huge number of trails of all levels of complexity and modern lifts, Tignes's undeniable advantages are its compactness, convenient infrastructure and relatively low prices. Tignes is the resort of multiple entertainments for the young people and for families with children. For example, in Lake Tignes, you can try ice diving, ride on the ice of the lake on dog sleds and ski for a horse. In Tignes, there are two sports halls, fitness center, squash, billiards, outdoor pool and many more interesting. On the territory of Tignes, there are 7 ski schools, for children from 3 to 8 years in the zone of Marmottones, there are kindergartens, wherein a play form little skiers are taught the skills of skiing. A children's animation program includes ice skating, toboggan runs and a lot of other fun activities. Family-friendly Customer support service - we work 27\7 for you! As the ski season is coming, the prices are growing also. So, don’t leave it for tomorrow – book your transfer right now. If you have some questions or you can’t find the information you need on our website, just call our customer service team and they will help you with your requests.